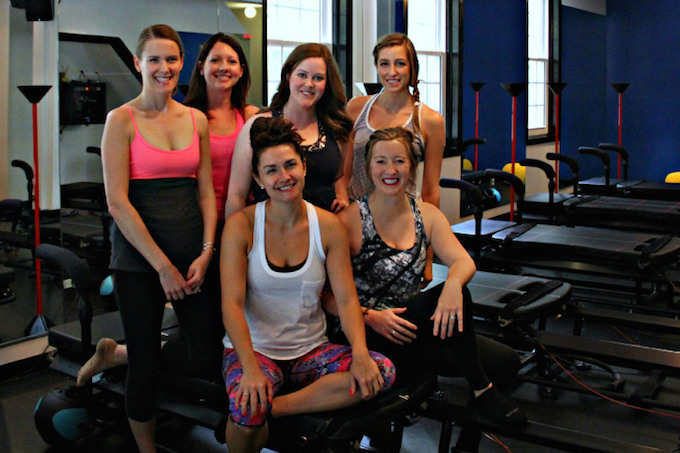 A few weeks ago, I had the distinct and painful pleasure of attending a unique workout in Atlanta at Stellar Bodies. 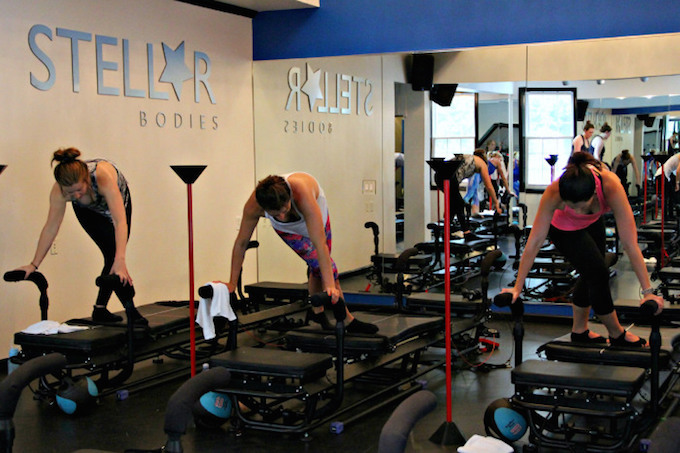 Stellar Bodies, an SPX workout, incorporates elements of Pilates while introducing strength and cardio into a 50 minute workout...all while using a pretty incredible Megaformer TM machine. Using the body strength and resistance, and judging by my near four days of soreness, you definitely get a complete workout at Stellar Bodies. As someone who prides herself on not working out too much, I was more than a little apprehensive about this class. Okay, I'll be honest, I was terrified! And while the fear didn't exactly pass, the trainers immediately put me at ease and helped me get my form right before class even started. What I loved about Stellar Bodies was the intimacy of the class. Because there are only a few machines available, the workout is limited to just a few people at a time. This definitely allows undivided (and maybe unwanted) attention between you and the trainer. In other words, no blending in this class, and no skimping on each and every move. My fabulous hosts of the event, Peachtree Roadies and Fit and Well Atlanta Belle, knew that after such an intense workout, their fellow bloggers would need a break, so we headed down to the Four Seasons for a few hours of pampering and a tour of the facility. My goodness, was this a wonderful part of the day! The Four Seasons Spa is top of the line in Atlanta and is known for being both relaxing and luxurious. From the beautiful pool to the amazing locker rooms, if you're looking for a spa experience, look no further than the Four Seasons. Not only were we treated to a tour, but we were wined and dined with mimosa, desserts, and tea sandwiches (little known fact: I am a sucker for a cucumber sandwich...give me all of them). Oh, and did I mention that we each got to experience a brief moment of massage bliss? Let's just say that I'll definitely be back when in need of a little R&R. Special thanks to Stellar Bodies, The Four Seasons, Fit and Well Atlanta Belle, and my blogging buddies, Peachtree Roadies, for an unforgettable event! P.S. Thanks to Peachtree Roadies for letting me borrow a few photos!